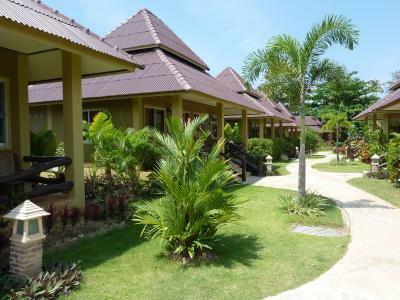 Lock in a great price for Lanta Castaway Beach Resort – rated 9.1 by recent guests! 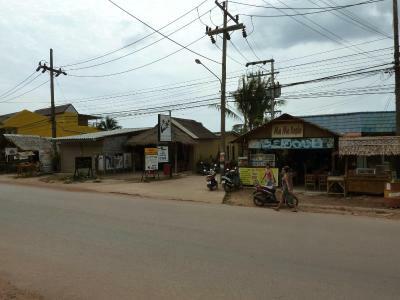 The resort is small and welcoming. It was like stepping into a mini-oasis. The location was very close to the pier (10 mins. max). Joe, the resort manager picked us up which was a great touch! Everything! 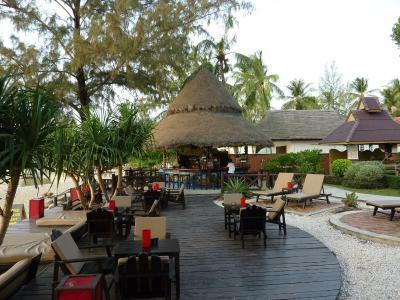 Beautiful landscaping, on the beach, nice & cordial staff, good breakfast and comfy rooms! Staff were excellent at front desk, bar, restaurant. Manager is from Texas so a small piece of home while away (and no language barrier). Massages at the beach (booked at front desk) were excellent and affordable. We went twice! The beach is amazing as are the sunsets from the resort bar. Breakfast was very good and included. We rented a scooter right from the front desk and used it for two days to explore the island. 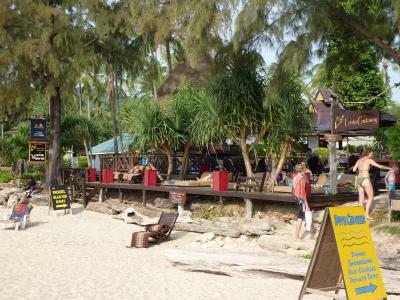 Koh Lanta was our favorite beach visit on our 3 week trip around Thailand. Staff was very nice. The room was cleaned very well. Lovely bungalow, great beach, wonderful staff and food. We had a wonderful time at Castaway, highly recommend for all types of travelers. Staff was wonderful and very accommodating and helpful. We had a great time, thanks to the location and the staff who works in this place. Beautiful sunsets. 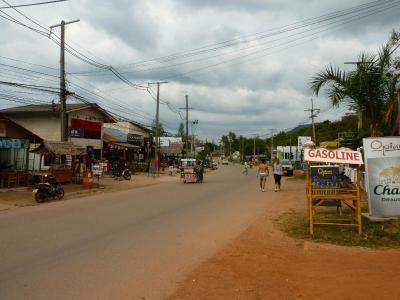 The restaurant is very good, the menu has a great selection of Thai and Mexican dishes. 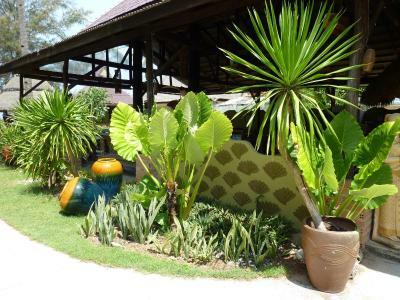 Lanta Castaway Beach Resort This rating is a reflection of how the property compares to the industry standard when it comes to price, facilities and services available. It's based on a self-evaluation by the property. Use this rating to help choose your stay! 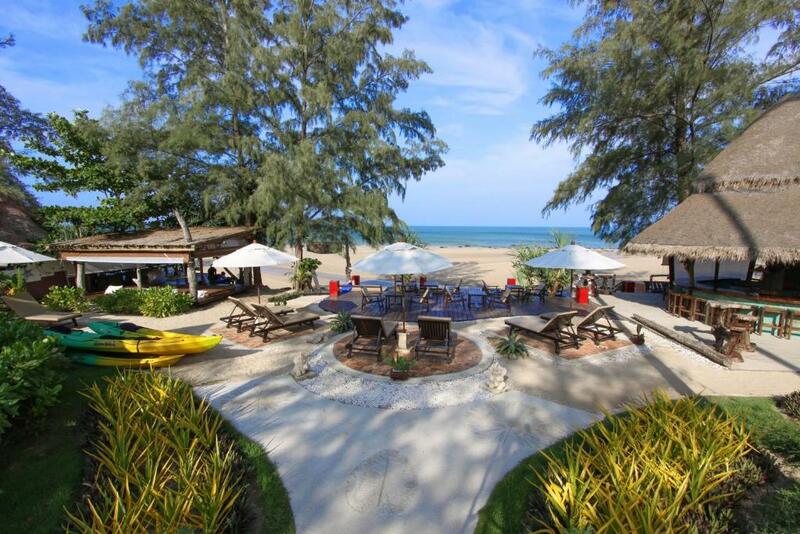 Located in directly on the southern end of Ko Lanta's Pra Ae Beach, Lanta Castaway Beach Resort features a garden and comfortable sun lounging areas by the beach. Free WiFi and parking are available. 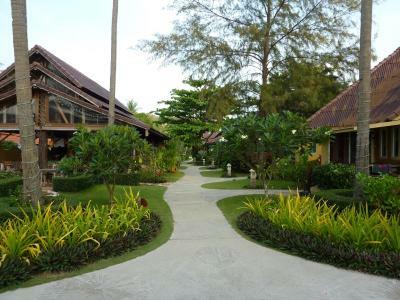 All rooms and bungalows are fitted with air conditioning, a fan and cable TV. There is a kettle, a mini-bar and a patio. Included in the private bathroom are a shower, free toiletries and a hairdryer. 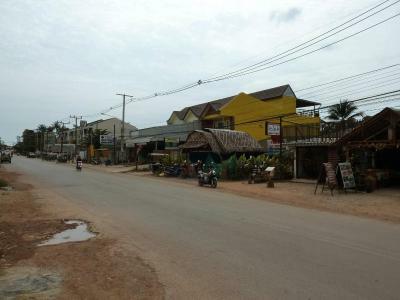 It is a 4.3 mi drive from Saladan Pier. 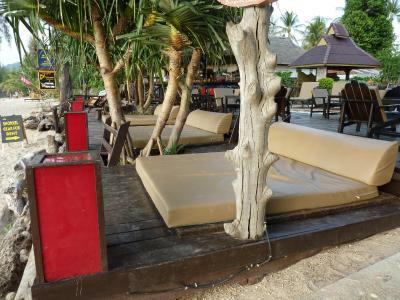 Lanta Castaway Beach Resort has a tour desk where guests can make arrangements for excursions and dove trips. Meals can be enjoyed at the on-site restaurant. When would you like to stay at Lanta Castaway Beach Resort? 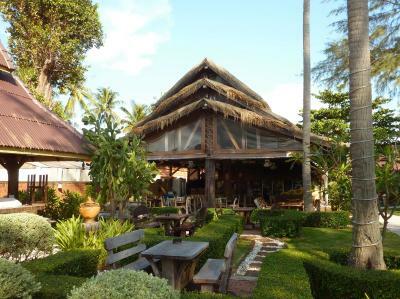 Located only 66 feet away from the beach, this bungalow with sea view has air conditioning, cable TV and a private bathroom. Located between 30-197 feet from the beach, this bungalow has air conditioning, DVD player and patio. Located between 80-427 feet from the beach, this double room features a tile/marble floor, mini-bar and air conditioning. This bungalow has a tile/marble floor, cable TV and electric kettle. 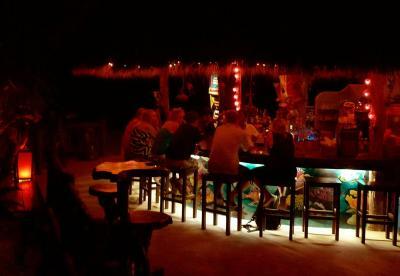 House Rules Lanta Castaway Beach Resort takes special requests – add in the next step! Lanta Castaway Beach Resort accepts these cards and reserves the right to temporarily hold an amount prior to arrival. Amazing resort. Metres from the beach. Accommodation top class, superb. Staff so friendly and helpful. 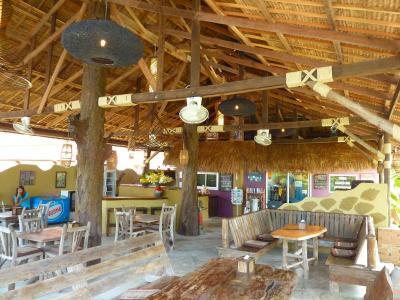 Restaurant food amazing and bar by the beach fabulous location. Will definitely return. Staff at the bar. Beds at seafront. Location. Excellent value for money. Fantastic polite staff. BBQ Saturdays are a must. Incredible sunsets. Nothing really, just wish they had a swimming pool as well! It would be amazing! Weather was cloudy but you can’t blame Castaway for that! Located on a beautiful beach. Great staff with a great atmosphere Managed by Joe who makes everyone feel welcome. We had such an excellent stay! 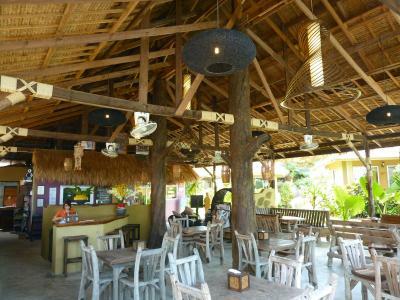 The staff (restaurant, bar and cleaning) were all amazing and SO helpful. The room was spacious and really thoroughly cleaned every day. The Tex Mex food was also delicious! We couldn’t fault our stay. Location is brilliant and cocktails on the deck by the beach were perfect. We booked the so called sea-view bungalow. To be honest, the sea is behind those people sitting in the restaurant in front of your window, feels like the zoo...and you are the animal. My main point is the price we paid for what we got. For 60 € it would have been ok, but not more than 100 €...per night. Great breakfast. Really nice food at restaurant over all. 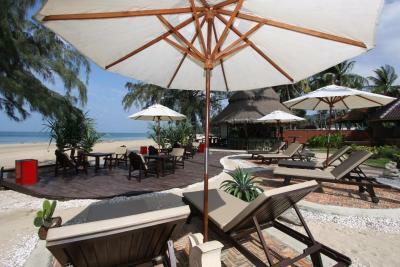 Fantastic location right on the beach with sun loungers for guests on the beach. Nice and quiet and relaxed. The location is great! 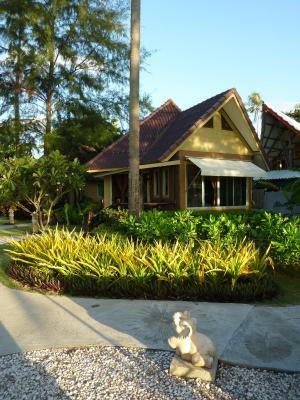 Our bungalow was nice and cleaned thoroughly every day. The staff were really friendly and accommodating. We ate a couple meals at the beachside bar and enjoyed the sunset each night. Definitely get a massage or two!